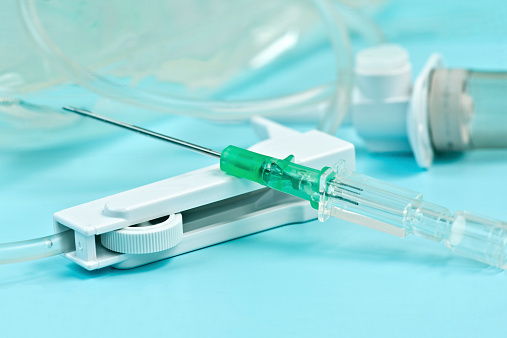 Researchers have discovered that the silver coating in catheters used to deliver chemotherapy drugs negatively impacts the effectiveness of the treatments. According to a study published in the journal 2D Materials, the antibacterial silver coating used on catheters chemically reacts with some chemotherapy drugs, causing degradation. A team of researchers from the Norwegian University of Science and Technology, led by senior author Dr. Justin Wells, focused on investigating the impact of silver-coated catheters on the effectiveness of 5-Fluorouracil (5FU), a common chemotherapy drug used to treat cancers of the head, neck, breast, bowel, stomach, ovaries, and esophagus. To investigate how 5FU reacted to the silver coating on the catheter, researchers used X-ray photoemission spectroscopy (XPS). The results from the XPS showed that the silver on the catheter decomposed 5FU and released hydrogen fluoride gas, which is potentially harmful to both the patient and medical equipment. Alternatively, researchers also tested graphene, a nanomaterial composed of thin flakes of carbon measuring up to one atom in thickness. Using XPS technology, the chemically inert graphene was proven to cause no reaction with 5FU. Based on the results of their study, Dr. Wells and his team believe it should be possible to coat catheters with thin layers of graphene in place of silver, thereby leading to safer and more effective chemotherapy treatments. Paddock, C. “Graphene coating on catheters may improve chemo effectiveness,” Medical News Today web site, July 10, 2015; http://www.medicalnewstoday.com/articles/296601.php.